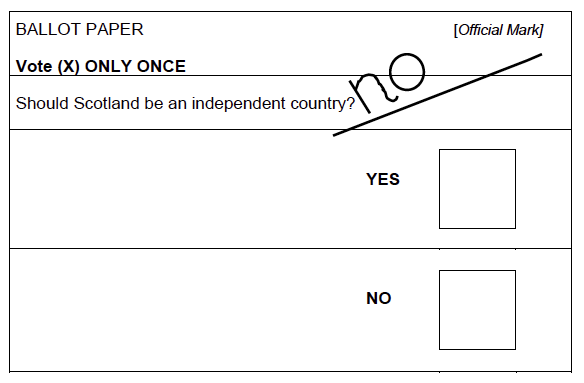 Would the above have been valid ballot papers in the Scottish referendum yesterday? Yes or No? 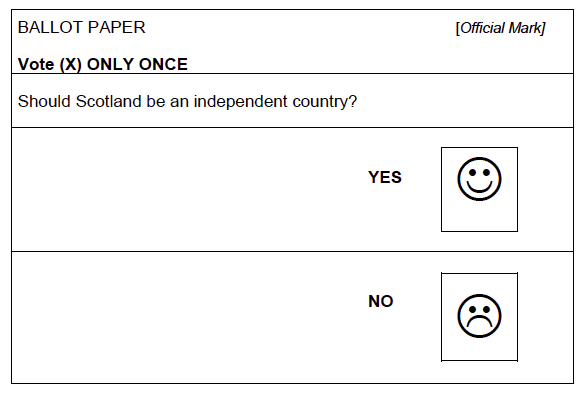 You can find out how counting officers interpret voters’ intentions in The Chief Counting Officer's guide to dealing with doubtful ballot papers.